How long have you been dreaming of a trip to New Zealand? Stop dreaming. Take the trip. There are so many reasons to put off a vacation. So many excuses that allow us to let life pass by unexplored. Don’t fall into that trap. You deserve more than an ordinary life. So fill your days with extraordinary experiences. Not sure how? Here are some of the best things to do in New Zealand. Treat yourself to a fantastic getaway…. and start living like never before. Take a Drive To Tongariro National Park. If there is one thing New Zealand is known for, it has to be all of that natural beauty. There is a reason so many films shoot here. The landscapes are breathtaking. Want to see that beauty up close and personal? Then make sure you add Tongariro National Park to your travel itinerary. It is actually the oldest national park in all of New Zealand. It can be found in the North Island – and is a UNESCO World Heritage Site. Get there by choosing a car rental and parking it in one of the designated parking areas. Then let your adventure begin. Spend Some Time At The Waitomo Caves. You need to see it to believe it. The Waitomo Caves are a spectacular example of New Zealand’s exquisite natural beauty. These unique caves were carved over thousands of years. There are stalactites hanging down from the ceilings and stalagmites coming up from the ground. Not to mention glow worms hanging from the cave walls. Talk about a picturesque scene! 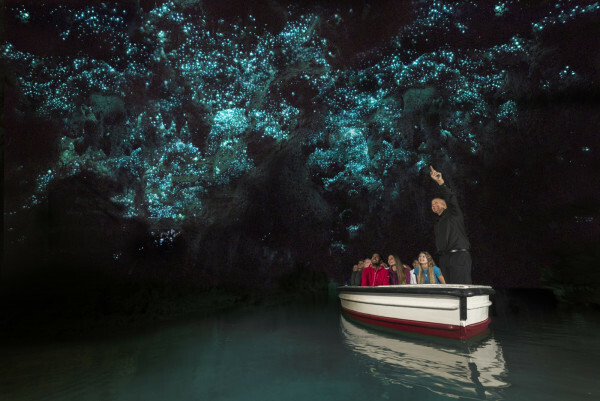 There are many ways to experience the Waitomo Caves but the best is to take a walking tour or a boat tour. Another option? You can zip line through the caves or even go rafting. Get a Taste Of Hollywood With a Movie Set Tour. Are you a fan of the Lord of The Rings movies? Then you probably know that the films were shot on location in New Zealand. If you want to see some of the village sets from the movies – and experience a full-blown movie themed tour – then spend a little time at Hobbiton. Middle Earth will come to life like you never imagined. Find out how the movie set was created, learn about the filming process, and take a peek at the sets. There are daily tours to enjoy. So book ahead and experience Hollywood…. New Zealand style. Experience The Wonder of Huka Falls. Some attractions are more popular than others. Huka Falls is definitely one of the most popular. In fact, it has been dubbed the most visited natural attraction in all of New Zealand. Pretty impressive. The waterfall is 11 metres high with 220 000 litres per second roaring through the rocks. Visitors to the area can walk along the riverside. That provides many different spots to view the waterfall from. Another way to experience Huka Falls? Take a boat ride to the base of the falls. There you can get closer than ever to this extraordinary attraction.